To fans of slightly-left-of-mainstream electronic music, the name "Art of Trance" should ring a bell. Art of Trance, the alias of British producer Simon Berry, has created countless memorable tunes over the years, combining acid and trance with sounds of nature. One of his biggest hits, Madagascar, has been revisited and remixed so many times, it's easy to forget the original tune. Other tracks such as "Easter Island", "Breathe", and "Octopus" have achieved success in the clubs as well. It's a shame that, after so many acidically intriguing tracks over the past two decades, his latest musical offering is so... unappealing. 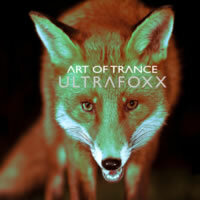 The Ultrafoxx package starts, sensically, with the Original Mix from the man himself. The main issue I have with Simon's original mix is that while most songs build up to some sort of climax or, at best, a chorus, Ultrafoxx just sits there like a lumpy college student with little fluctuation. This might be acceptable if there was some presence of a strong melody, but really there's much of that to be found, either. Ultrafoxx is a track that relies more on its aural tonality rather than being a truly captivating experience. Even then, it's not much to listen to: a lumbering trail of buzzes, acid blurps, and more buzzes in a highly repetitive pattern that is far too simplistic. If this is his idea of the "art of trance", he needs to go back to the canvas and try again. Some of his industry buddies have taken a crack at Ultrafoxx to see if they can squeeze out any more life. Up-and-coming Italian producer Gai Barone swings first with Gai Barone's Cuboid Mix. Clocking in at nine and a half minutes, he starts out with a far more house-laden beat before leading into strong, wispy ambient trance territory, including a very haunting mid-section of some of the darkest piano jabs I've heard in ages as ghastly pads wail in frightened harmony. This is definitely something that could be beach-chill material. Again, not much of a strong melody is found here, but Gai Barone does what he can with what he has to work with, resulting in a spacey experience that laps the original mix significantly. Prolific trance artist Airwave also tests his mettle with the Airwave Remix with his typical blend of straightforward safe rhythms. Sporting a bit of an industrial feel, Airwave listened to the source material and then just ran with it, tossing out an atmospheric journey filled with enough padded harmony to please the trance masses to no end. Simon Berry's original hook is definitely in there, but Airwave had to improvise a lot more to make this mix exciting, and there he has succeeded somewhat, although there's still a missing element that would really grasp the listener. Polish producer Monojoke (no joke) also took to Ultrafoxx with the well-titled Monojoke Remix, a track rich in house beats that pulls the original's acidic rhythms directly while adding minor techy additions. The end result is a tad punchier mix with more shakers in the background, but there's not much else to report on this minimal effort. But wait! Gai Barone wasn't finished! Round 2 begins with Gai Barone's Dodecahedron Mix! That guy sure loves his polygonal shapes. Leading off with poppier and quirkier sounds, this mix is full of liquid splashes of sound; it sounds more like the soundtrack of a movie about a renegade submarine. You'd be hard-pressed to believe this is a remix of the original Ultrafoxx, but apparently it is. I'd consider this a new song altogether with no ties to Art of Trance. The complete Ultrafoxx package brings an interesting variety of sounds, although none of the tracks featured here are anything I'd put on repeat. I'm hoping Art of Trance's next release delivers more substance, but in the meanwhile, maybe it's time to put that ultrafoxx down.